Pinel Advocates was established in 2010 with the aim of being different. A different place to work, without individual time targets for our lawyers, constraining them, without the pressure to bill all time putting a strain on client relationships. We wanted freedom to work in the areas we enjoy and with clients we really like. We aimed to create a different law firm for clients, with a real focus on their businesses and their needs. We run a business too; we understand the difficulties at firms small and large and we strive to make our clients' daily work easier. Avoiding all conflicts of interest, we don't have a trust company or fund administration business. We don't practice law in any other jurisdiction. Just Jersey law. Our management is entirely in Jersey, so we can be more nimble on client matters. There are no committees, no hurdles to decision-making. We like working with people who share our collective energy and drive to succeed. If you would like to work with us, please contact any of our lawyers. A welcome modernization of Jersey’s property purchase process - the Standard Seller Questionnaire for Residential Property has been introduced. Pinel Advocates was represented in Saturday's 2017 Dragon Boat Festival in Jersey in aid of Jersey Hospice Care. The Jersey Companies Registry requires all Corporate and Legal Entities (apart from foundations) to complete a C17S form detailing current beneficial ownership and control by close of business 30 June 2017. Non submission of a C17S is a criminal offence. Pinel Advocates is looking for a bright, enthusiastic Legal Assistant to join its young and dynamic team. Pinel Advocates is able to offer a route to qualification as an English Solicitor, working with the firm in Jersey. Applications are welcomed both for this year and for 2019.
International Savings Plans - What is the big fuss about? ISPs are creating a lot of noise in industry since their introduction in January 2019 - what are they and how can they help clients? Jersey law offers a track-track probate procedure in certain circumstances - this briefing sets out what is required. Over the past year, there has been an increasing trend towards migration of companies, both in and out of Jersey. 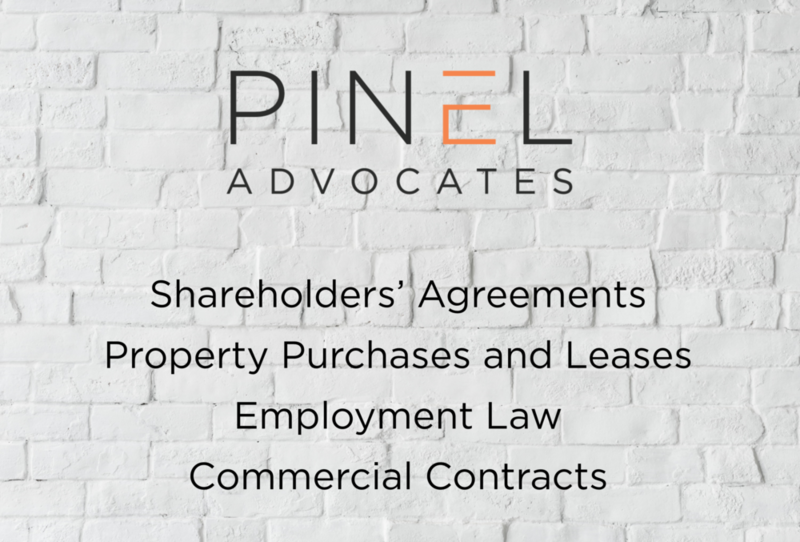 Movement is more active than ever and Pinel Advocates is well-placed to assist. The EU has raised concerns in relation to businesses in Jersey demonstrating sufficient economic substance. This article explores the nature of the Draft Taxation (Companies – Economic Substance) (Jersey) Law 201 and the reason for its development, as well as outlining the key provisions of this law. Fixed fee Jersey grants of probates from a leading legal team. Hackers Beware - Jersey's financial regulator is looking to place greater emphasis on cyber risk management in its Code of Practice to make sure companies have policies in place to identify threats, protect assets, and act quickly in case of an incident. The powers of the Jersey Financial Services Commission to impose civil financial penalties for significant and material contraventions of the Codes of Practice have been extended by the Financial Services Commission (Amendment No.7) (Jersey) Law 2018 following the amendments to the Financial Services Commission (Financial Penalties) (Jersey) Order 2015. Following the MONEYVAL Assessment released in May 2016, a consultation has just closed in order for the Jersey Financial Crime Strategy Group to consider responses to legislative proposals for change. Arrange a free meeting to discuss your shareholders agreement or business arrangements. On 1 September 2018 the new Discrimination (Disability) (Jersey) Regulations 2018 (the “Law”) came into force and businesses need to take action now to ensure that they are ready for this significant change to the law. Offshore trustees are being asked to provide information to underlying UK companies to enable them to complete their Persons of Significant Control Register (PSC Register). A new civil forfeiture law is proposed by the Chief Minister in response to recommendations made by international assessors. You worked hard to win that work; why give it to a competitor? Pinel Advocates does not have and will not ever have an affiliated trust company or fund administration business. A new Dormant Bank Accounts (Jersey) Law 2017 (the “Dormant Accounts Law”) has come into force in July 2017. On 12 July 2017, Pinel Advocates will celebrate its 7th anniversary. The Serious Fraud Office charged Barclays Plc and four ex-employees with conspiracy to commit fraud and the provision of unlawful financial assistance. This article looks at some of the regulatory issues and considers what is the position in Jersey? Pinel Advocates can often provide a fixed fee for Jersey Private Funds and our fees are competitive.